When a hotel can boast a modern art collection, shops, world-class designer décor, traditional fine dining and suites that provide extreme comfort and thoughtful touches, we’re going to let you know about it. This stunning architectural building fuses the best in art, design, cuisine and accommodation and is one of our top choices of luxury hotels in the city. 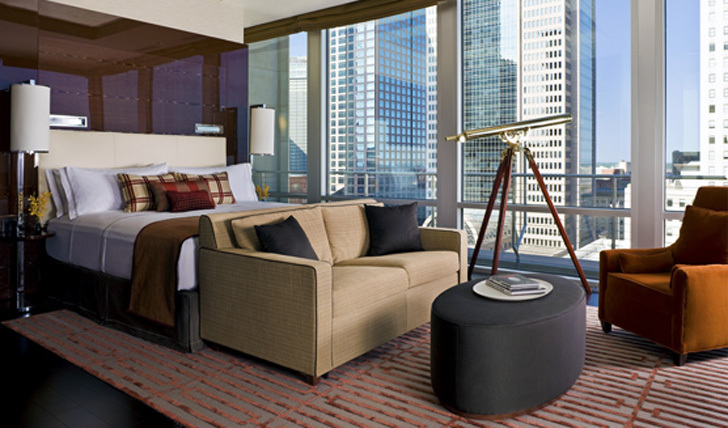 With the business district and Victory Park only minutes away, The Joule couldn’t be better located. 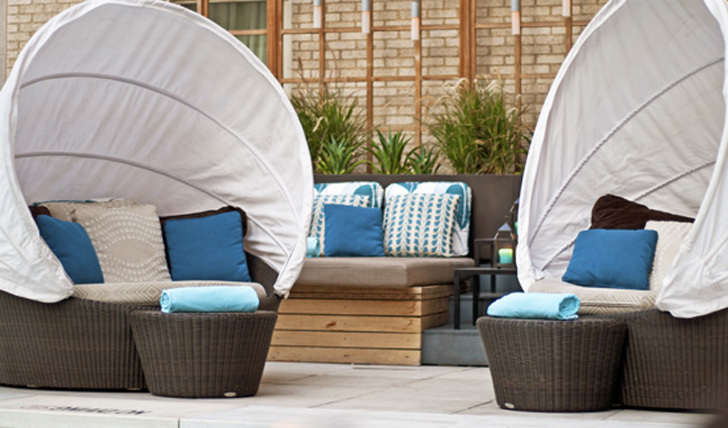 Set on the infamous Main Street, the hotel is ideal for leisure and business travellers alike looking to make the most out of the array of dining, shopping and museums Downtown Dallas has to offer. Only 15 minutes from the Love Field Airport and 25 minutes from DFW International Airport, there’s no need to endure tedious transfers to reach the heart of Downtown Dallas. All of Joule’s luxury suites come complete with 60 square-foot terraces, stunning views, king-sized beds, 24-hour room service, custom furnishings and Bram Tihany photography. It’s a hotel that’s been designed with comfort and decadence in mind, so you’re sure to be blown away whichever style of accommodation you choose.